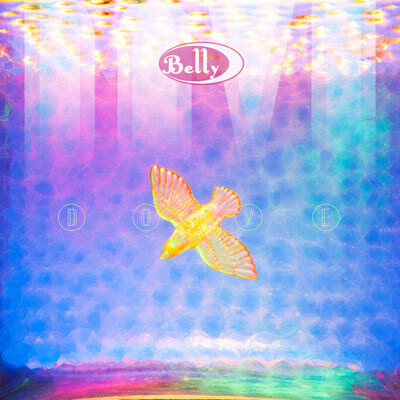 In May, Belly will release their first album in 23 years called Dove. "All three of the songwriters were locked in and working in a way that complemented the others' strengths," says drummer Chris Gorman in a press release. "Gail's writing was in top form. Tanya is able to make anybody's song her own—she's got that gift. 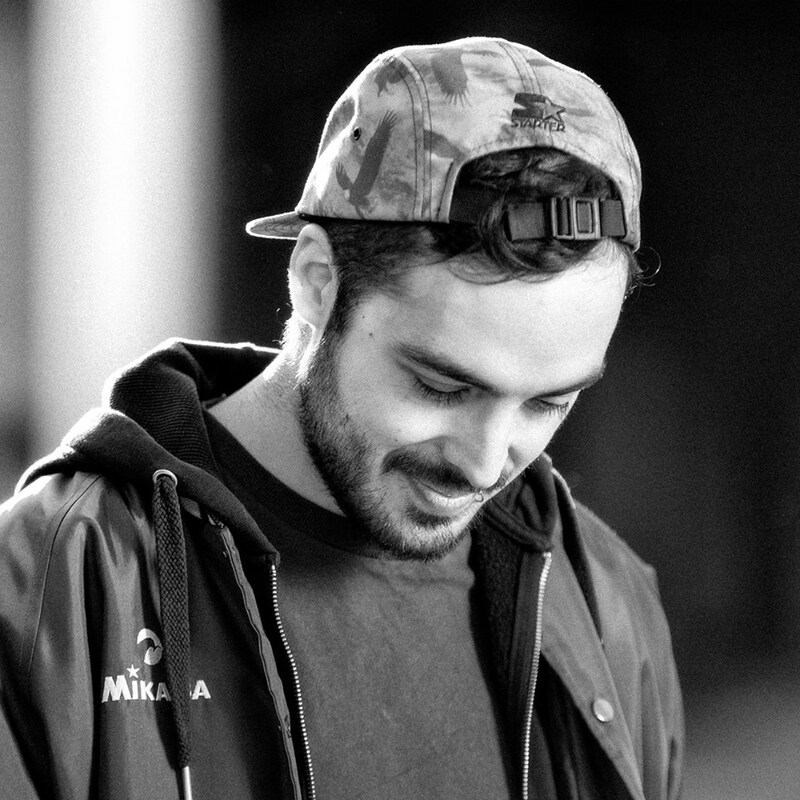 And Tom has really honed his arrangement and production style." 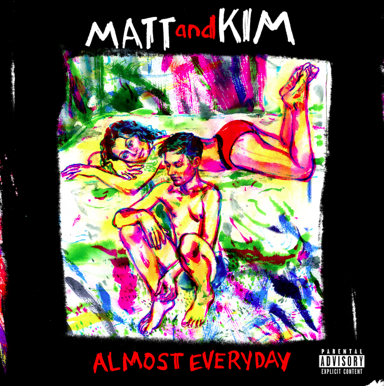 In May, Matt and Kim will release their sixth album, Almost Everyday. After 37 years together, Slayer will be calling it a day later this year. In celebration of their legacy, the L.A. thrash-metal icons are looking back on their early days in a webisode series. They just recently shared the first episode, take a look. In May, Parquet Courts will release their new album, Wide Awake, which was produced by Danger Mouse. 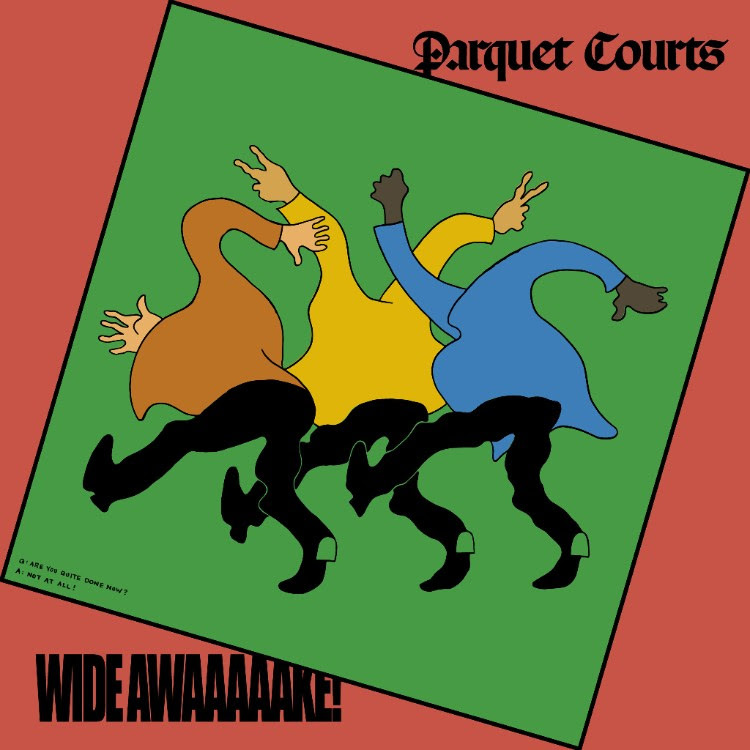 Take a look at the cover, above, and hear the new single, “Almost Had To Start A Fight/In And Out Of Patience” and see the tracklisting, below. 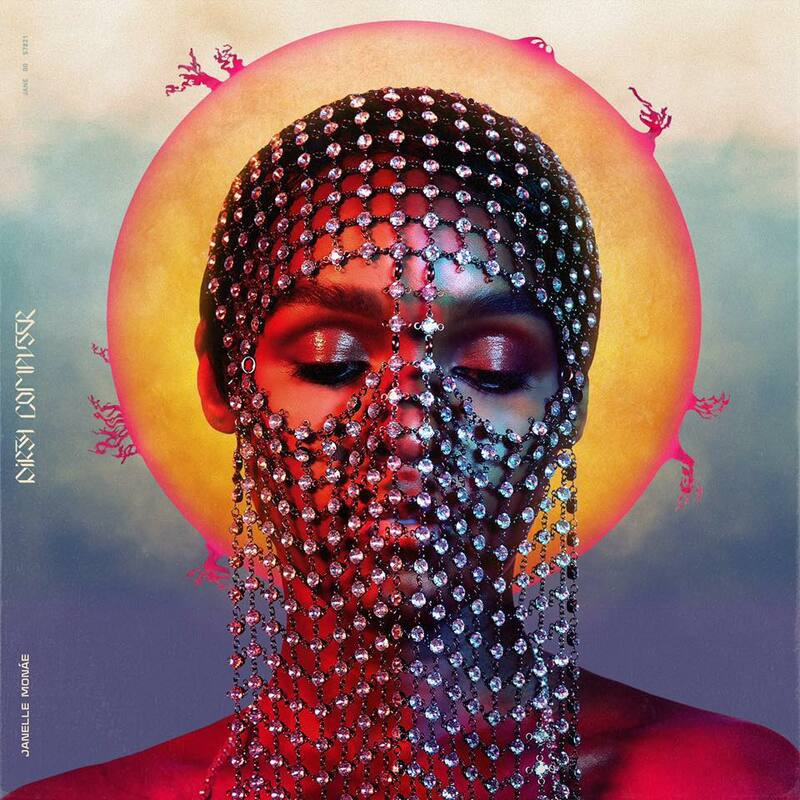 Janelle Monae has released the cover to her new album, Dirty Computer, which you can see above. 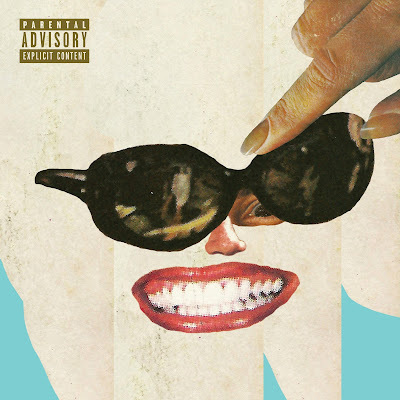 She also said that the record will arrive at the end of April. Public Image LTD. will celebrate their 40th anniversary this year and will reunite for a series of gigs. In addition to the concerts, they will release a career-spanning box set titled The Public Image is Rotten as well as the documentary of the same name. Twin Shadow will release his new album, Caer, in April. The Streets will reissue their first two albums, 2002's Original Pirate Material and 2004's A Grand Don’t Come for Free, on double vinyl later next month. This year marks the 45th anniversary to David Bowie's landmark album, Aladdin Sane, and to celebrate, his estate is releasing a silver vinyl of the record. The announcement came on Instagram, for more details see above. After 8 years of waiting, Robyn is teasing a new album following her 2010 Body Talk series. A fan recently asked her on Twitter: "Who decides your next album release date tbh?” Robyn then replied: “I do. Some time this year honey.” No further details were given. The Sword will release their new album, Used Future, next month. Flatbush Zombies will release their new album, Vacation in Hell, in April. Soft Cell will reunite for one night only in September for a farewell concert at London's O2 Arena. Speaking to Double J in Australia, The National's Matt Berninger has revealed that he, his wife, and brother are developing a sitcom based on their lives. 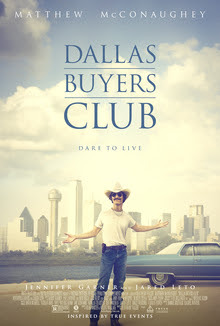 The singer and his filmmaker brother, Tom, will star in the series. "My brother and my wife and I have been creating it, and then we teamed up with Trent and his wife […] It’s something we’ve been cooking for a while," he said. Trent O’Donnell (New Girl, Brooklyn Nine-Nine) will also assist in developing the show. No network or release date has been given. Watch Portugal. The Man perform "Live in the Moment" with a drumline on The Late Show with Stephen Colbert. Black Panther continues to dominate the box office and we can tell you, if you haven't seen it yet, it is one of the greatest comic book to movie adaptations ever. Believe the hype. While the film brings in ticket sales, its soundtrack also delivers in ways you would and would not expect. 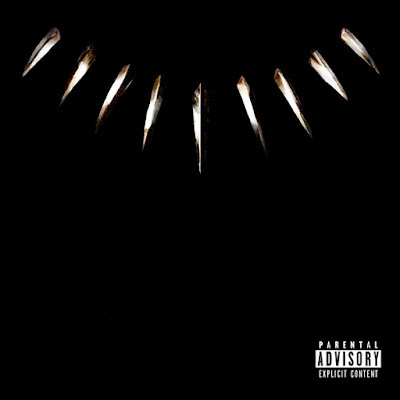 Executive produced by Kendrick Lamar and Top Dawg Entertainment, the soundtrack to Black Panther features heavy hitters like Lamar, SZA, James Blake, The Weeknd, 2Chainz, Schoolboy Q, Vince Staples, among others. The soundtrack has its moments where it gives direct shoutout to characters in the film like T'Chala, Kilmonger, and the fictional nation of Wakanda. More importantly the record not only fits in the universe of the film but TDE's as well. Lamar's thumbprint is on every song and each track feels like you are on a roller coaster ready to go on your own mission to save the world. If you were to just play the record straight and not know it was from a movie, you would think that TDE was assembling a victory lap with this record, which makes it that much more special. 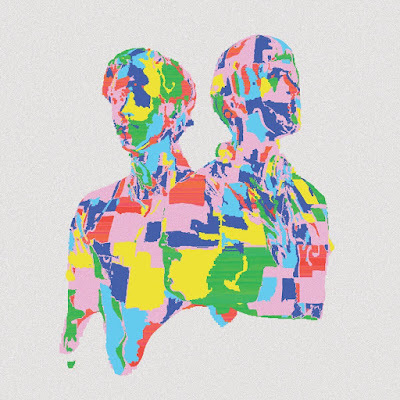 Each track could and should be a single, while not taking away from movie it simply adds to it. The greatest book about music and New York City is the classic Please Kill Me which is the oral history of the birth of punk in the 1970s. Last year, a spiritual sequel of sorts was released by author Lizzy Goodman who documented the New York City garage and indie scene of the turn of this century with the brilliant and instant classic Meet Me in the Bathroom. 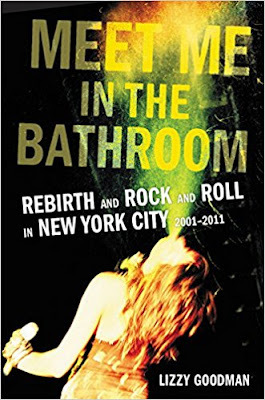 Meet Me in the Bathroom is the oral history of those who lived in New York pre and post-9/11 and how the city was shaped by the artistic boom coming from the Lower East Side and eventually spilled over to Brooklyn. 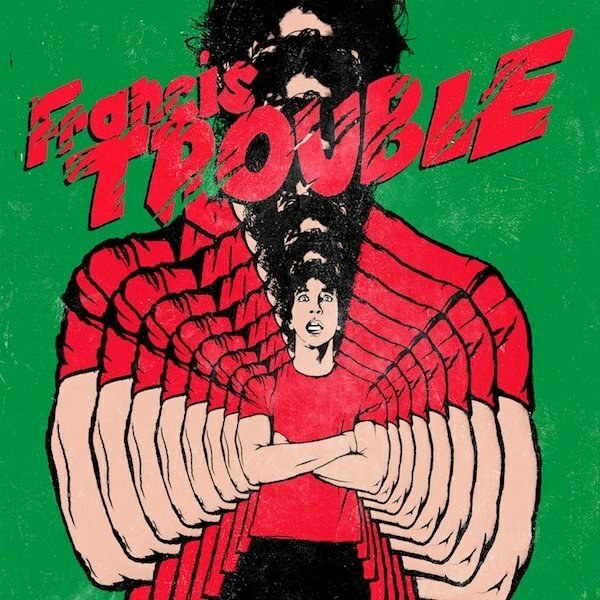 With first person accounts from The Strokes, Ryan Adams, LCD Soundsystem, Interpol, TV on the Radio, The National, Yeah Yeah Yeahs, the artists discuss their origins and how things progressed for them to get to the status they are currently at. Goodman takes us on a tour of the city in the way she formulates the interviews to flow like a narrative and timeline of places and events which transpired over the years. Meet Me in the Bathroom is not just a love letter to New York City, it is a love letter to rock and roll and how in every generation the cycle will not destruct and for better or worse keeps pushing. This is for any music fan. Black Moth Super Rainbow will release their first album in six years, Panic Blooms, in May. 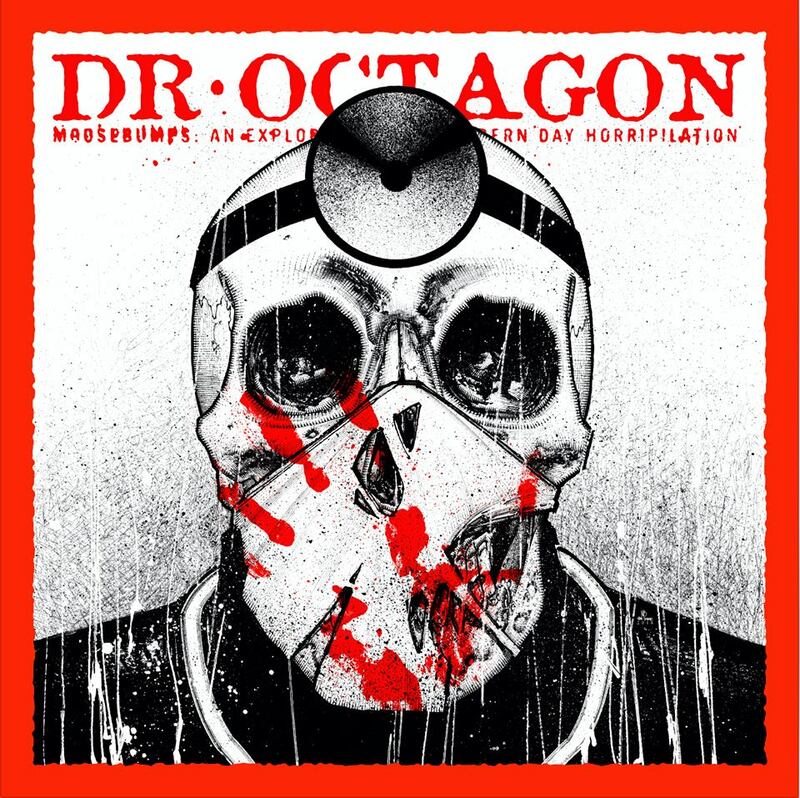 Take a look at the cover, above, and the tracklisting, below, and hear the first single, "Mr. No One." 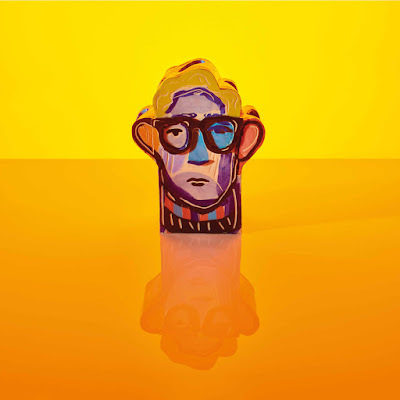 Hot Chip singer Alexis Taylor will release another solo album in April called Beautiful Thing. The day after his brother was crowned a "Godlike Genius" from NME, Noel Gallagher played his largest solo show to date in New York City as the former Oasis musician sold out Radio City Music Hall. 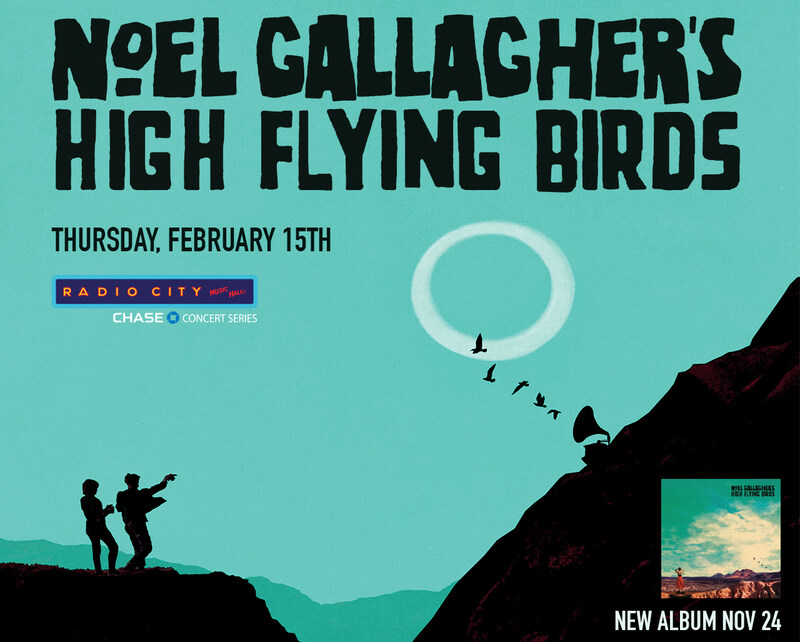 On Thursday night, Noel Gallagher's High Flying Birds brought their latest album, Who Built The Moon? to life at one of the city's most beloved and treasured venues and the veteran performer had a few tricks up his sleeve for this tour. Performing in front of a moon-shaped screen which projected various psychedelic images, the band, which also included former Oasis drummer Chris Sharrock and Gem Archer as well as his now-infamous French scissor player, took New York City on a journey through sound and graphics. Starkly lit for nearly the first hour of the set, it was almost as if the megalomaniac that is Noel Gallagher did not want you to pay attention to him on stage but rather hear the music the band was projecting and it fit perfectly with new songs like "Holy Mountain," "Keep On Reaching," and "It's a Beautiful World." Eventually the lights began to shine on the star and his group which exposed a Manchester City flag over one of the speakers and as he ripped through his massive back catalogue, fans inside the amphitheater began to get on their feet. Songs like "Ballad of Mighty I," "If I Had a Gun," and the Oasis covers of "Little By Little," "The Importance of Being Idle," and "Wonderwall," turned into a massive singalong like a City match where the fans chant "Blue Moon" after a victory. After 90 minutes on stage, he and the band retreated to the wings for a brief break and the encore was something that will be etched in memory. 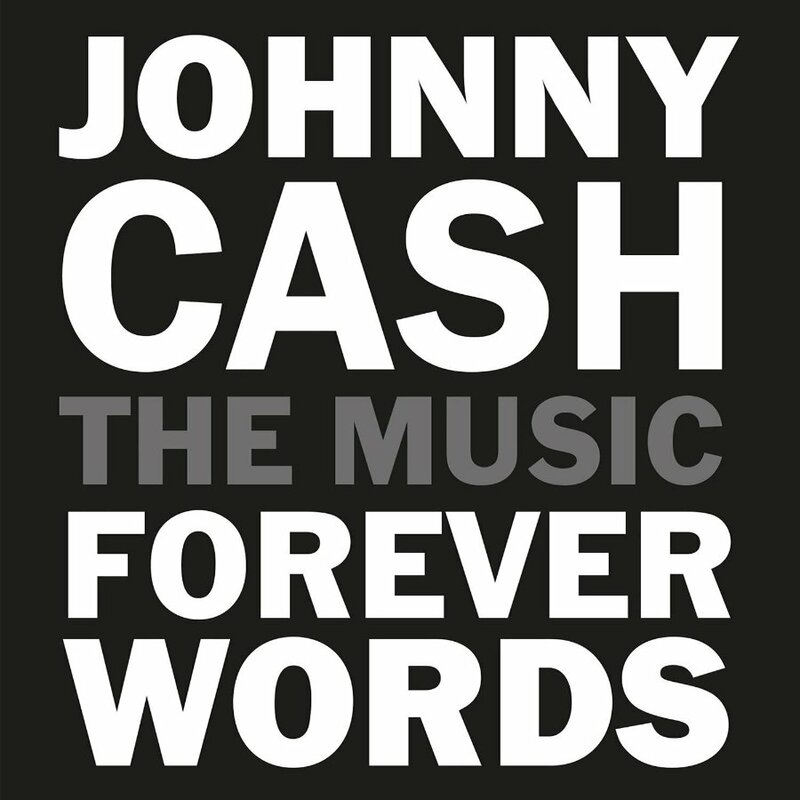 After a brief break, Gallagher returned and played the somber but brilliant ballad "Dead in the Water," the closing track to his latest record. He then was joined by the rest of his ensemble as they delivered a one-two punch of tunes like the rarely performed Oasis single, "Go Let It Out," and the classic, "Don't Look Back in Anger." Prior to the last song, he addressed the crowd how John Lennon was "one of ours and was one of yours," before going into The Beatles classic, "All You Need is Love," which felt rather poignant after the mass shooting in Florida the day before. As Gallagher's presence as a solo artist continues to grow, it might be no surprise that he starts performing inside arenas on his next tour. After announcing that Handsome Boy Modeling School was reuniting, Dan the Automator is also reactivating Dr. Octagon with Kool Keith and QBert. The trio will release their first album in 22 years, Moosebumps: An Exploration in Modern Day Horripilation in April. 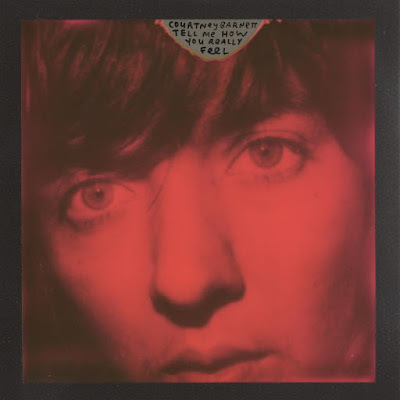 Courtney Barnett will release her new album, Tell Me How You Really Feel, in May. 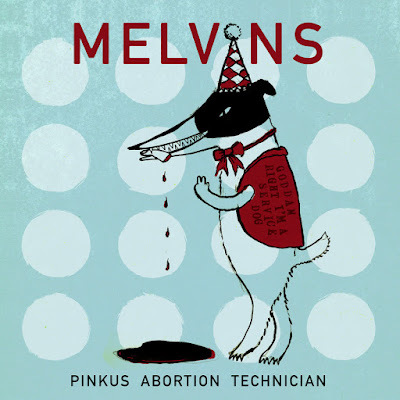 Take a look at the cover, above, and the tracklisting, below, and watch the video for "Nameless, Faceless." Taking to Twitter, Maynard James Keenan gave an encouraging update on the long-awaited new Tool album Friday. “Started getting music files from the boys w the word FINAL in the title a few months ago after 11 years of begging,” he wrote. “Words & Melodies 100% DONE on all but 1. Someday we’ll track them. 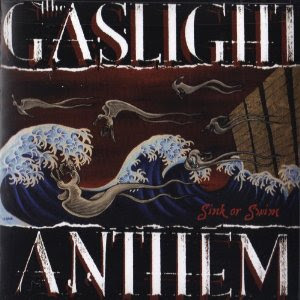 Long way from the finish line, but at least we’re closer.” The band's last album, 10,000 Days, came out in 2006. Handsome Boy Modeling School, the DJ duo consisting of Dan the Automator and Prince Paul, have reunited after 14 years. The duo performed at a Fashion Week event for Saks Fifth Avenue in New York City this week and Prince Paul spoke to HipHopDX about the reunion and teased a new album from the duo. “It was a very handsome experience,” Prince Paul said of the performance. “The thing about when we had time apart, we now get to talk about our exotic travels, and random helicopters and planes we both bought, and you know, like secret beauty tips. So, nothing has really changed. It becomes a very handsome experience. It’s like we never left. So far, the album is already recorded in our heads. Now, it’s just a matter of physically recording it. We’re trying to determine where we’re going to do it. We’re kind of thinking of going far away to record it, maybe fly to Europe. It has to be a handsome experience. You can’t get more handsome than that. If all goes well — I can’t put a date on it — but if you’ve been waiting the last 13, 14 years, within a 12-month span shouldn’t be too much of a wait. It’s just a matter of the ambience. There is not a time and space for greatness.” The duo's last album was 2003's brilliant, White People. 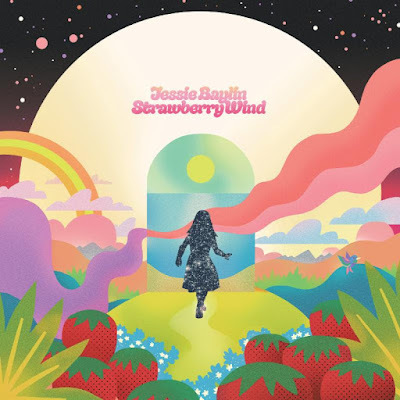 Nashville via New Jersey singer / songwriter Jessie Baylin will release her new album, Strawberry Wind, in April. She said the record is influenced by the music of the 1970s and being a mother. "Since becoming a mother," she said in a press release, "I found myself being around the house a lot, and I started gravitating to these wonderful older albums to listen to with my child -- The Beatles, John Lennon, Roger Miller, Harry Nilsson's The Point!, and Carole King's Really Rosie. I realized that people aren't making albums like that anymore, and that really inspired me to go down this new musical path." 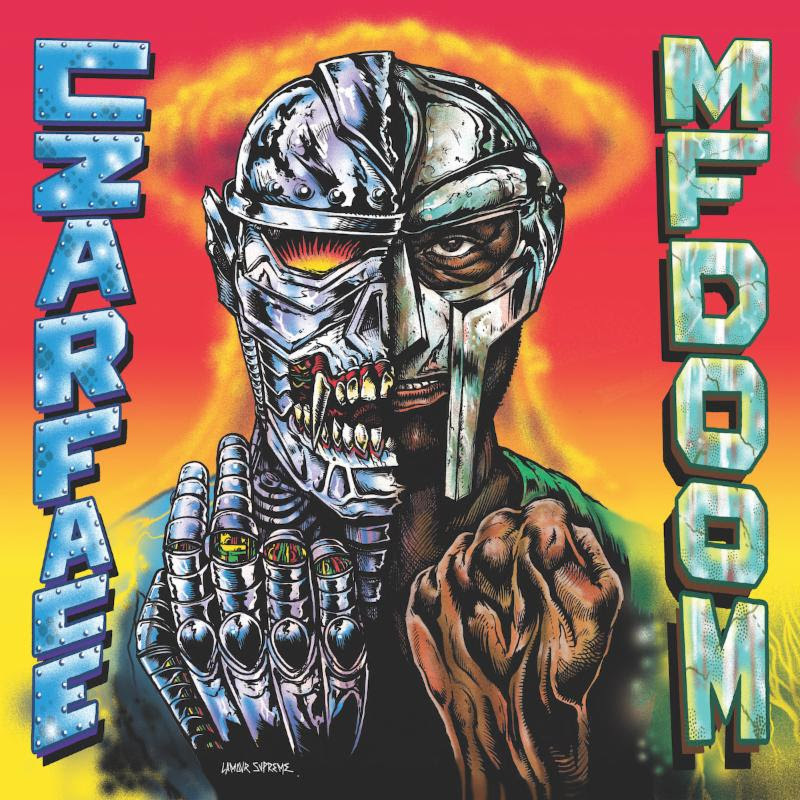 In March, Czarface will release their new album Czarface Meets Metal Face! 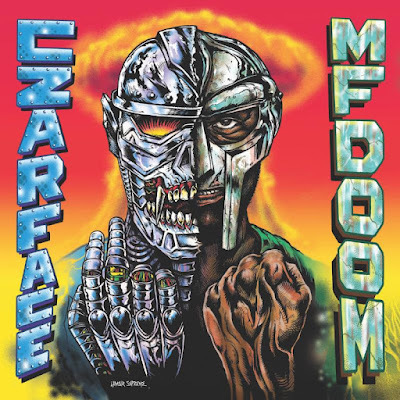 The album will be collaboration between elusive rapper MF DOOM the hip-hop outfit that features Inspectah Deck of Wu-Tang, 7L & Esoteric. Watch Ty Segall perform "Every 1’s a Winner" and "Despoiler Of Cadaver" on Jimmy Kimmel Live!